In past years, DDN have developed to be a reliable network. MainStreet 3600 and 2601&2603 DTU node processors which are made by Newbridge are widely deployed in this network. Telecom carrier put MainStreet 3600 at central site, 2601 and 2603 at remote site to provide access service. In this application, remote site can extend to be 3Km far away, but sometimes it may not be enough for customers. Huachentel’s HC-DNIC-8 DDN extended multiplexer can normally work together with MainStreet 3600, 2601 and 2603. Telecom carrier used to place one pair between the Newbridge central and remote node proceesor to extend the access distance over TDM network. HC-DNIC-8 integrate DDN and TDM network to enlarge DDN network work scope, and it is an ideal product to extend DDN using life. 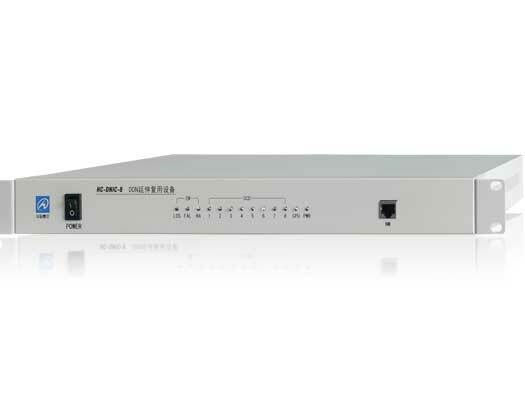 HC-DNIC-8 provides 8 DNIC ports to connect with DDN node processors, and 1 E1 port as uplink to connect with TDM network. Work normally with Newbridge MainStreet 3600, 2601&2603. Support 2B+D information to transmite on E1 link transparently.